Hey everyone, I just started building my Mirror this week and things are going rather well so far! Thanks to everyone who has contributed to the open source project, super helpful. 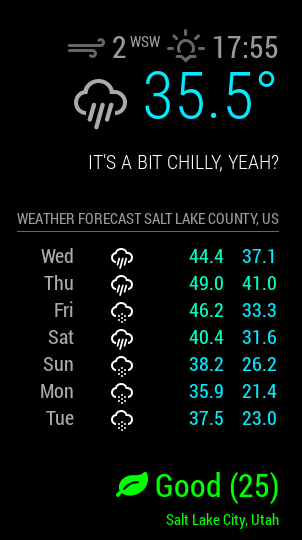 I have noticed that my weather forecast/current weather module displays temperatures that are close to the weather for my city in openweathermap, but not really accurate. 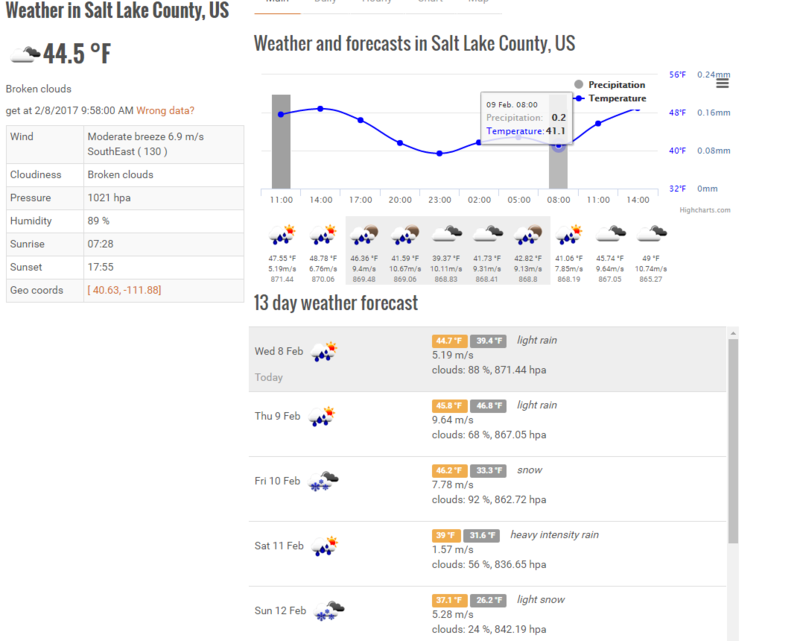 Some of the temperatures match what the website has, but most don’t. Let me know if any more information is helpful. Thanks! I had a similar issues where A) the weather forecast data on the mirror was different to my city data on the openweather site; and B ) the data for my city on both the mirror and the openweather site were about 10 degrees celsius off the actual forecast! I used the 3rd party module MMM-forecast-io, which uses the Drak Sky weather API instead. Easy to setup and better data! Thank you! This one does seem more accurate. At least, it’s pulling the same temps from the website, though I still think they’re off compared to my own thermometer… haha.